In celebration of the NeutralCreeps.com Anniversary, we have given the following readers the opportunity to get into the Dota 2 beta. 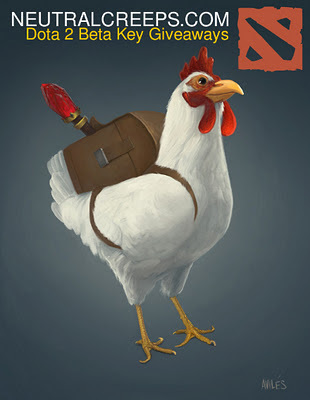 Welcome to the Dota 2 beta, gentlemen. *We sponsored the Play DotA All-Stars Clan Facebook beta key giveaway. We'll give more away once we get a fresh batch of Dota 2 beta keys. You may join the ongoing PlayDota Draw. hey i need beta key! HOw to get beta key ..? Me too I need beta key..